The greatest thing about checksmart.com, in my opinion, is that it gives back so much to the community. I went to checksmart.com to look for a payday loan and I ended up spending an hour and a half reading about all they do for the community. Checksmart.com sends care packages to soldiers in Iraq with their "Adopt-A-Unit" program, help fight muscular dystrophy by raising thousands of dollars for MDA (Muscular Dystrophy Association), make sure poor and disadvantaged children get Christmas presents with their "Toys for Tots" and "Santa Cop" donations, well, you get the idea- the list goes on and on! While at their store, checksmart.com offers many services: Payroll Advances, Check Cashing, Bill Pay Services, Wire Transfers, Money Orders, Pre-paid Debit Cards, and Phone Cards. Like many payday loans, the fees for taking a short term loan are about $15 for every $100 you borrow. Like all payday services, checksmart.com should not be considered as a long-term strategy. Fees are based on a 2-week period and one payment. 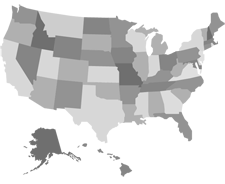 Finally, my research shows that checksmart.com is found in: Arizona, Florida (but not Gainesville), Indiana, Kansas, Kentucky, Michigan, Missouri, Ohio, Utah and Virginia. If you live in one of those 10 states and want to get quick cash while helping society, checksmart.com is the way to go.